UntitledTown Book & Author Festival! Patricia Skalka Returns to the Reader's Loft! I am Farmer Launch & Send Off Party! On a chilly Monday in late spring, Sheriff Dave Cubiak is at the Green Arbor Lodge for lunch when a scream from a nearby medical conference disrupts the scene. Leaping into action, he finds the ninety-three-year-old director of the prestigious Institute for Progressive Medicine collapsed on the floor, dead of a suspected heart attack. As Cubiak interrogates the witnesses, he’s struck by the inconsistencies in their stories. Some evade questions while others offer contradictory statements. Then suddenly another scream pierces the air. . . . Past and present merge as long-buried secrets rise to the surface. The resourceful sheriff must rely on his skills and wits, along with the advice and memories of friends and family, to uncover the dark truth behind the Institute for Progressive Medicine. Dedicated and new fans alike will find themselves captivated by this intelligently plotted story as Cubiak untangles the twisted threads of this intricate mystery. 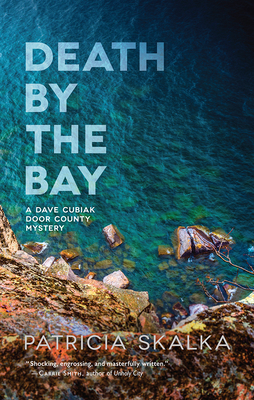 Patricia Skalka is the author of Death Stalks Door County, Death at Gills Rock, Death in Cold Water, and Death Rides the Ferry, the first four books in the popular Dave Cubiak Door County Mystery series. She is president of the Chicagoland chapter of Sisters in Crime and divides her time between Chicago and Door County, Wisconsin. A former staff writer at Reader’s Digest, she presents writing workshops throughout the United States. Copyright © 2019, The Reader's Loft Bookstore. Theme by Devsaran.